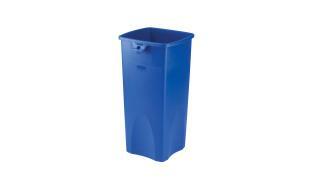 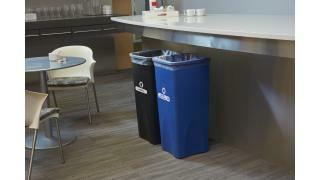 The Rubbermaid Commercial Untouchable® Square Containers are space-efficient and economical. The Rubbermaid Commercial Untouchable® Square Recycling Container is perfect for use in areas of high paper generation, such as near copiers, printers, and in mailrooms. This square recycler contains Post-Consumer Recycled Resin (PCR) exceeding EPA guidelines.